Electronic Seismic Cone Penetrometer Testing | Geo-Technology Associates, Inc.
GTA maintains an exploration tool to complement its fleet of drilling equipment. GTA can provide electronic Cone Penetrometer Testing (CPT) using a track-mounted 15-ton CPT rig. 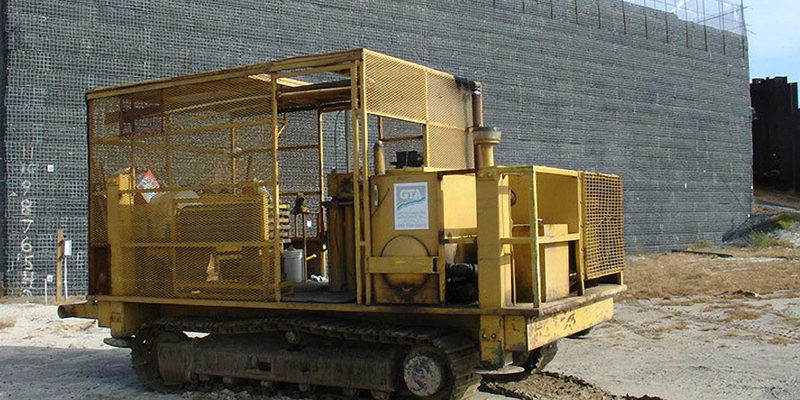 This technology allows GTA to perform geotechnical and environmental subsurface characterization more rapidly and efficiently than with conventional borings. The CPT probe consists of a 1.44-inch-diameter cone which is pushed into the ground using a hydraulic ram. Tip and sleeve resistance, and pore water pressures are recorded at penetration intervals of two centimeters, resulting in a nearly continuous record of subsurface conditions. With the CPT data, GTA can interpret soil engineering properties including soil type, stratigraphy, and shear strength. 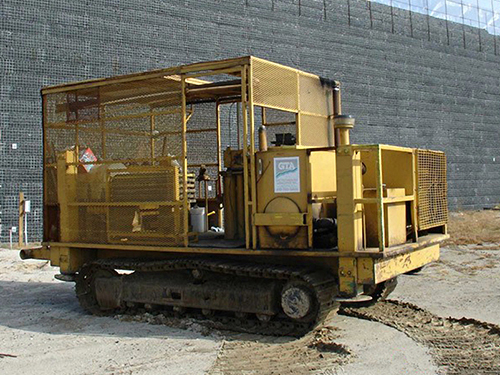 The 15-ton rig allows for exploration depths up to 100 feet in unconsolidated materials. 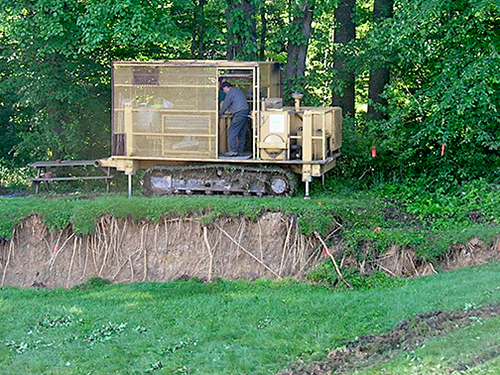 Soil strength parameters can be retrieved immediately for instantaneous evaluation of subsurface conditions by utilizing an onboard computer. Sites can be quickly evaluated with the CPT rig, allowing GTA to optimize the efficiency of the soil sampling program. GTA’s digital seismic cone penetrometer allows GTA to provide shear wave velocity profiles. A geophone is installed in the cone of the CPT equipment and generates and measures shear wave velocity in the soil as the cone is advanced. With the International Building Code’s (IBC) new regulations requiring buildings along the east coast to be designed to withstand a 2,500-year earthquake, measures must be taken to keep design and construction costs in check. Site Class is based on shear wave velocity of the soil layers which are typically assigned based on empirical relationships with standard penetration tests (SPTs), which can yield lower (more conservative) site classifications. The IBC also allows for direct measurement of shear wave velocity for Site Class assessment, which can result in a more favorable (less costly) Site Class assignment. GTA designed the CPT rig to access difficult sites utilizing a track-mounted platform, and GTA can perform testing on sites inaccessible to conventional truck-mounted rigs. 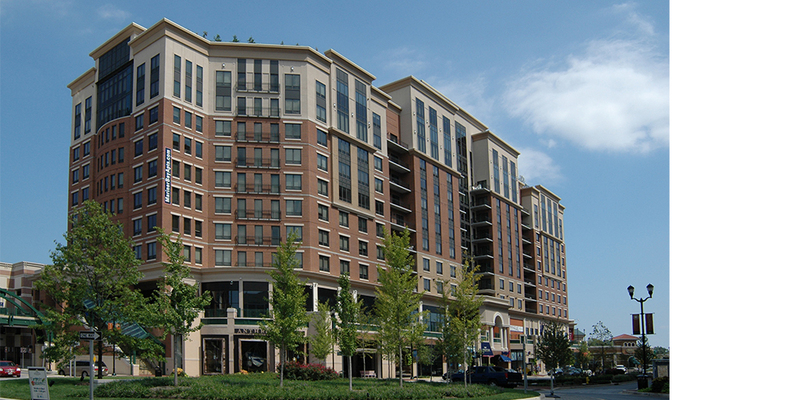 GTA provided subsurface explorations, including SPT borings, seismic Cone Penetration Test (CPT) soundings, and test pits for the 12-story mixed-use facility including 208 luxury apartments, 95,000 SF of ground floor retail space, and a 1,000-car parking structure at the Annapolis Town Centre (formerly the Parole Shopping Center site). 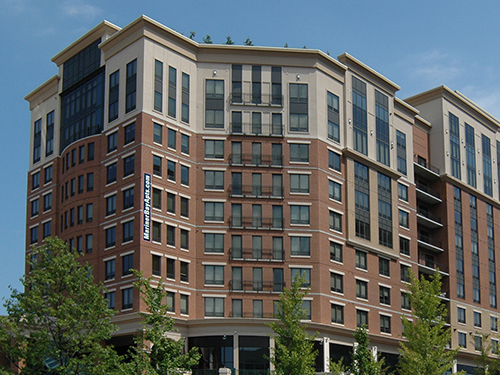 The seismic CPT soundings allowed GTA to improve the seismic site class for the site resulting in a cost-effective structural design. GTA also provided construction phase observation and testing services including review of foundation subgrade, backfill, post-tensioned concrete and structural steel. GTA’s involvement and prompt response allowed quick resolution of several issues encountered during construction. 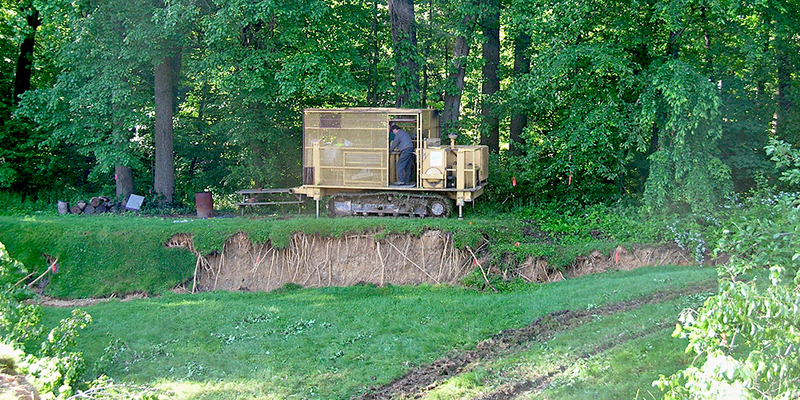 GTA performed CPT services for the emergency in-situ testing to determine the existing condition of, and analyze possible remediation measures for a slope failure approximately 300 yards long by 150 yards wide. Several homes that were affected by the slope failure were condemned and demolished. Responding to an emergency request, GTA performed over 20 Cone Penetrometer Test soundings to depths of 140 feet at the north and south approach ramps of the bridge. Pore pressure dissipation was used to determine the amount of time it would take for settlement of the approach ramps to cease. Traffic control and mobilization were required.